Taxes are bad enough in Norwich, where my wife and I are fortunate enough to own a home. It's budget season and, of course, everybody is vying for their piece of the proverbial pie. Even in a good year, whenever the topic of money comes up in any community or or organization, emotions are apt to run high. Money equates to the amount of value a group of people put on any particular cause or interest, if you will -- so if you don't get what you think you deserve or need, it's easy to feel insulted and lash out. That is partly why budget meetings get so heated. Add to that a nasty recession with gas prices now running rampant and that just makes things even worse. 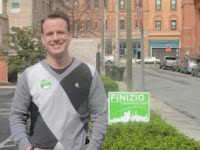 Anybody who happens to read either the Day or the Bulletin (I read both) is well aware of New London's new Mayor Finizio. What you may not be aware of is his new budget proposal which calls for a 20% tax hike for property owners in New London to support a 6.4% increase. http://newlondon.patch.com/articles/finizio-proposes-87-1-million-budget The Day was kind enough to do the math for its readers: if you own a home assessed at $200,000.00 you would pay an additional $1200.00 per year. Nice. Another $100 a month out of the homeowner's pocket to fund all of Daryl's little projects and pay-outs to various people and causes. I have to admit I can understand why conservatives often accuse the Democratic base as being of a "tax and spend" mentality. Governor Malloy is another one with his broad tax increases who supports the idea of tax and spend, even during a bad recession. Governor Malloy's broad tax increases have not had the desired effect of making things better budget-wise, either. Connecticut still has a nice healthy deficit to contend with, currently at 45.8 million. Taxes chase people's spending and businesses away. Some politicians don't seem to get that. I fear New London will discover that sooner than later. Back to Norwich, where I live. A modest increase is expected this year to our already high property taxes, if the City Manager's proposal is approved. In our case, we could see a $200 hike or so per year in taxes for our humble abode. The City Manager, Alan Bergren, is asking for a $113.4 million budget. This budget includes adding 3 policemen -- something the city definitely needs. A 5% increase I can tolerate (and even understand when I see what the city plans to do with it). The budget proposal is available at norwichct.org. Conclusion: I'm not one of those finger-pointers who loves to criticize without recognizing other points of view and I am aware that taxes will go up as the cities and towns we live in grow and more people need more services. I'm not against paying my fair share, either. But I do think we need to be aware of where the money is going and willing to adopt some painful austerity measures as a culture from time to time to live within our means and insure the future we hope our children will have.